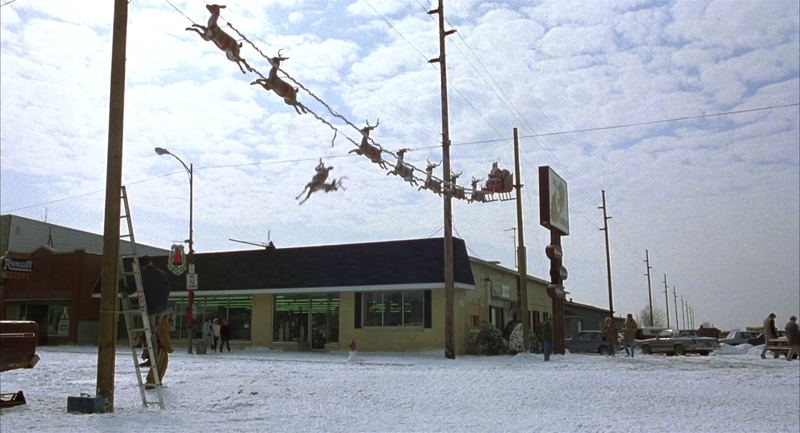 So 1989 saw the release of one of the greatest Christmas movies ever made in NATIONAL LAMPOON’S CHRISTMAS VACATION. But there was another Christmas movie that came out that year that seems to slip under people’s holiday radar. And this one also had Johnny Galecki (Rusty in CHRISTMAS VACATION) in it! Of course I’m referring to PRANCER. I caught PRANCER for the first time when I was just a little kid in the early ‘90s, maybe four or five at the time. It was on cable TV. I remember a feeling of overwhelming enchantment while watching it as a youngster. I just recently re-watched the film a few nights ago. And honestly, it still holds up and delivers that same childish charm. Let’s recap a little. PRANCER tells the story of Jessica Riggs, a warm-hearted, bright-eyed girl in the Midwest. 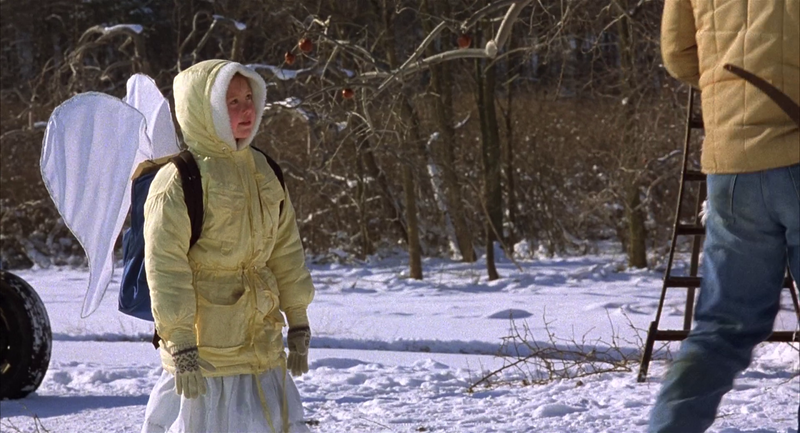 She lives with her father and brother on an apple farm in Northwest Indiana. We learn that her mother passed away a couple years ago from cancer. The role of Jessica’s father is played to a T by veteran actor Sam Elliot. He’s a hard-nosed man’s-man, doing what he can to make ends meet on the farm. Jessica, a natural outcast, spots a wounded deer one night. A reindeer, in fact. There’s something so very familiar about the reindeer that she just can’t wrap her head around – that is, until she realizes that the injured reindeer is none other than the famed Prancer! Yes, Santa’s Prancer. Jessica is a Christmas enthusiast, like most young children. She gets slightly enraged when a friend tells her there isn’t a Santa Claus – and almost more so when everyone around her doubts that the reindeer is Prancer. 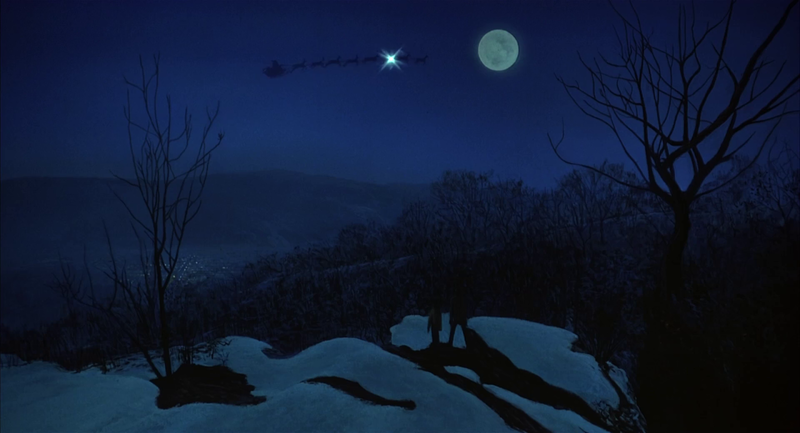 But Jessica conjures up a plan to reunite Prancer with Santa on the night before Christmas Eve at the aptly named Antler Ridge, a cliff high atop a nearby mountain. And, of course, since this is a movie after all, her plan doesn’t exactly go according to plan. She manages to get Prancer back to her father’s farm and hides him in a secondary barn out back, feeding him more Christmas cookies than Santa eats on Christmas Eve. And then she resorts to stealing sacks of feed from the main barn, which her father notices but has no answer for. Jessica’s older brother, Steve, learns that his younger sister is hiding a reindeer and keeps quiet as long as Jessica agrees to do the dishes for six months – kids, go figure. There’s even a scene where Jessica calls a live-stock veterinarian to come check out Prancer. But when he arrives and sees that it’s an injured wild reindeer, he packs up and starts to leave. But Jessica’s innocent begging causes him to stay and tend to the ‘deer. In order to plan the meet-up with Santa on the night of December 23, Jessica writes a letter to the big guy and gives it to a mall Santa. Well, the mall Santa reads the letter and hands it off to the local paper – who then publishes an article on the matter, “Yes, Santa, there are still Virginians.” Weird article title, I know. Needless to say, after the article goes live, her father out and throws a fit. 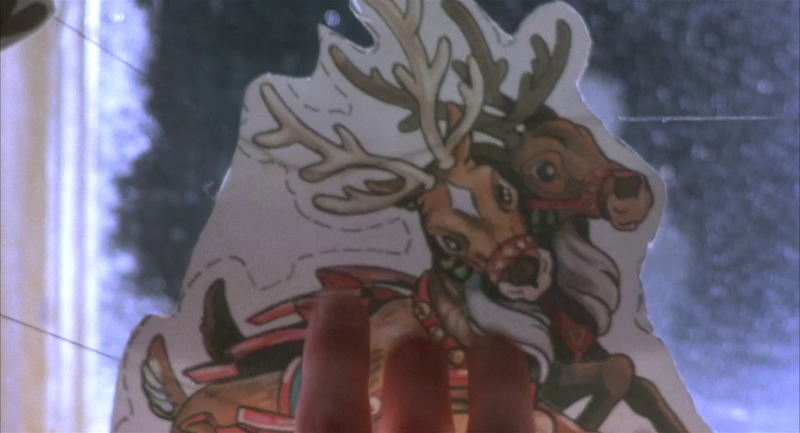 Threatens to shoot Prancer until a local business man steps in and offers to buy the reindeer for $200. Sold. So now the ‘deer is on display in a cage in the middle of town square. Jessica hatches a plan to break Prancer out in the middle of the night. This new plan works…sort of. Prancer gets free but Jessica winds up unconscious, laying in the show. And now here comes the charm of the movie. The reindeer lays next to her to keep her warm. Cut to Christmas Eve. The town has rallied behind young Jessica Riggs. And her father has bought back Prancer and has him loaded up in the back of his truck. The two head for Antler Ridge. 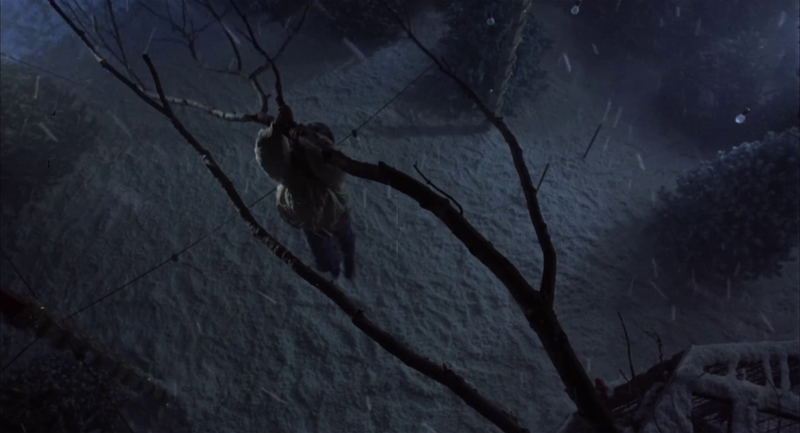 The climax of this film is one of the most heart-warming scenes in any kid’s movie ever. I promise you. 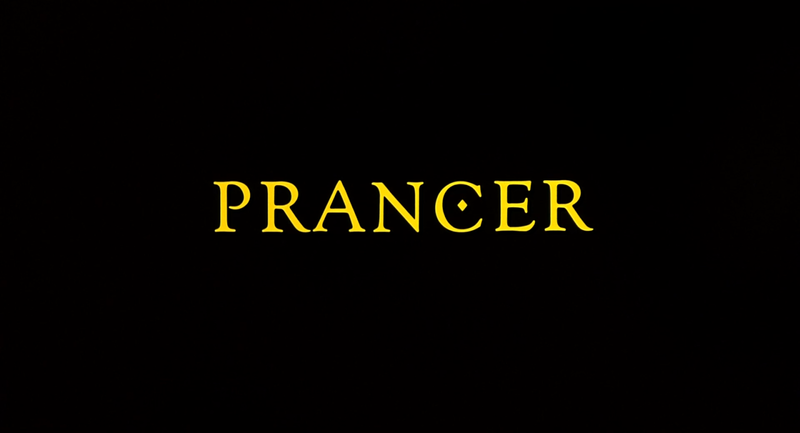 PRANCER remains one of my all-time favorite Christmas movies. And if you’ve seen the movie then perhaps you understand. Interesting side note: a sequel was released in 2001 called PRANCER RETURNS. I actually have yet to see the sequel, but I plan to sometime this holiday season. So expect a review next year.